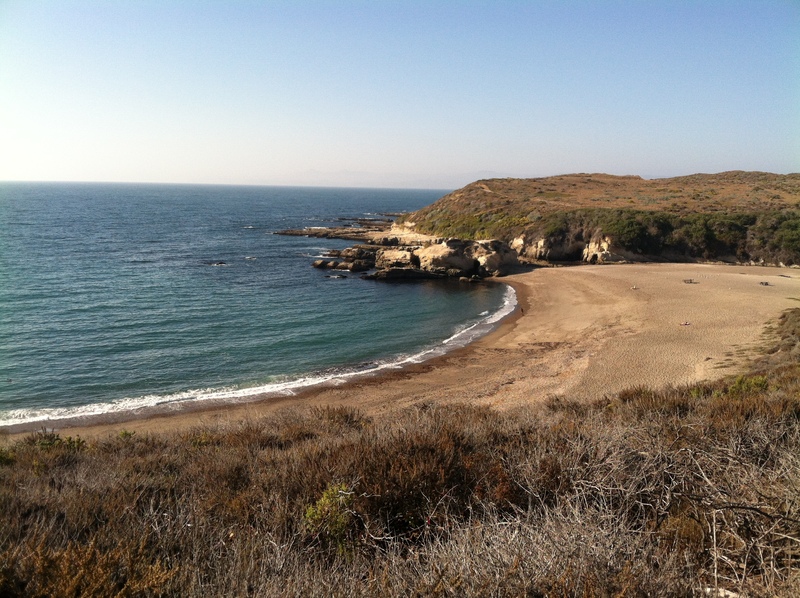 Spooner Cove, Montaña de Oro. 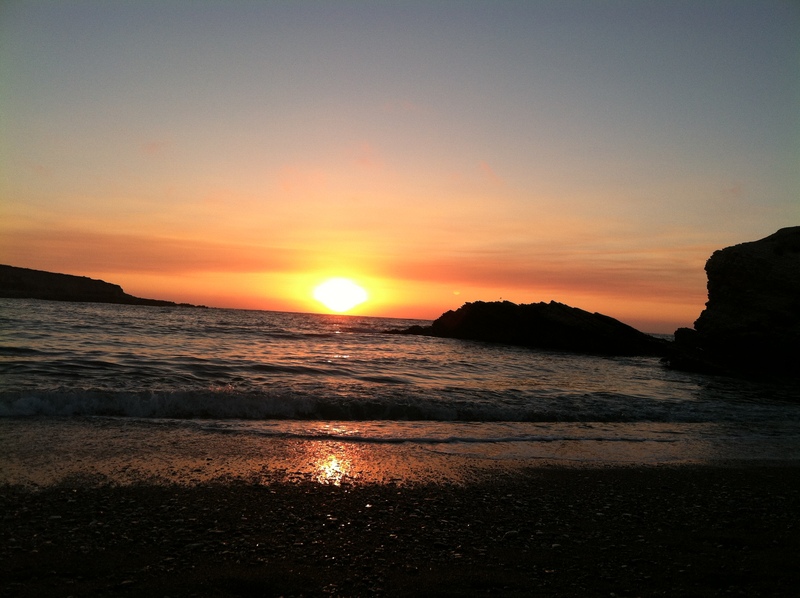 Montaña de Oro, what a wonderful state park. It’s pretty neat to see so much undeveloped coastal property in central California. The park has a real remote feel to it. Los Osos and Morro Bay are about 20 & 30 minutes away. The biking is very scenic, every ride starts with a climb, but the overall riding was also easier than we were expecting. Our first two days the weather was absolutely spectacular. 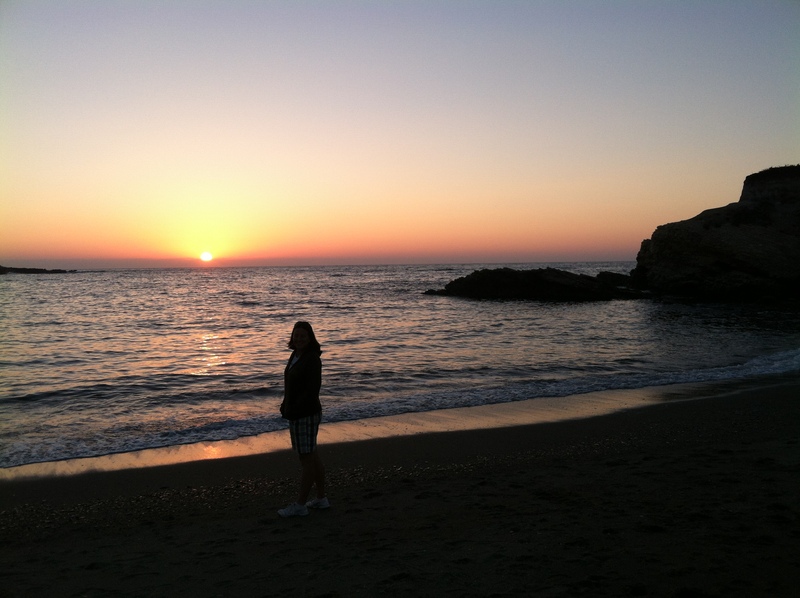 Then we were quickly reminded why we don’t live on the coast. Fog, all day long, no sunshine, weather so damp your shower towel never dries. We were pleasantly surprised that the solar panels managed to keep the batteries charged the entire time. The later half of our stay, Amy’s stepmom (R’s second ex-wife) Denise, and Rob, her wonderful husband, drove down from Castro Valley. As usual, we had an absolutely delightful time hanging out with them. 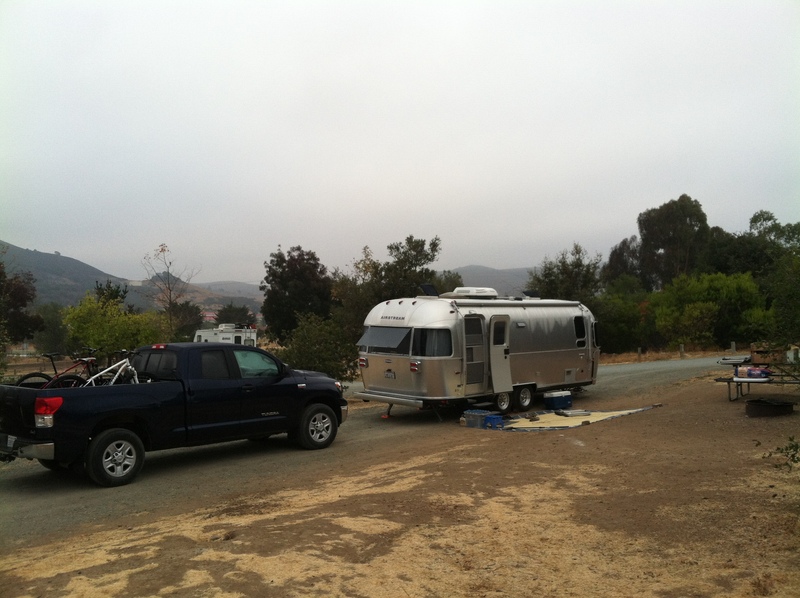 On Saturday, we had enough of the damp gloomy weather, so we all packed into their Prius and headed into Paso Robles. Ninety degree heat, sunshine, and big blue skies were just what the doctor ordered. Amelia coasting and Sara high stepping through the campground. My office for the week. The bluff above Spooner Cove was the closest place to get Verizon reception. 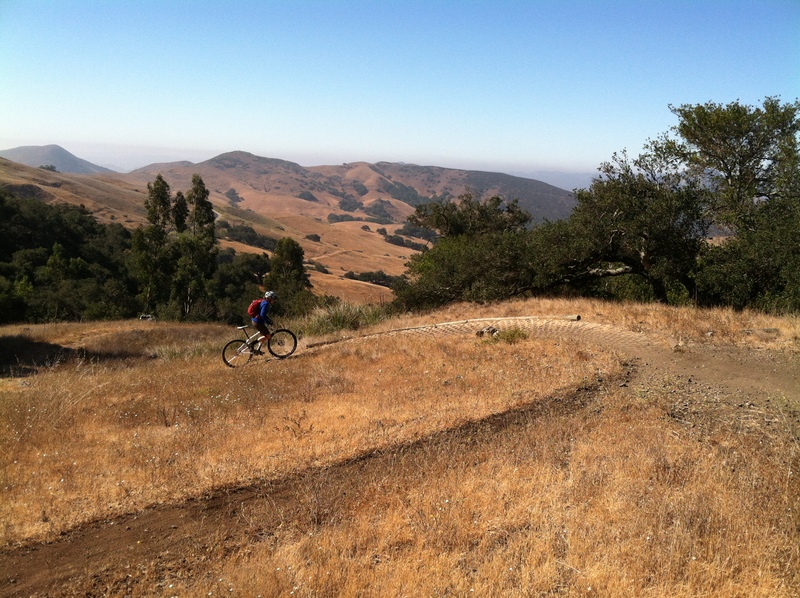 This is what the trails looked like at MDO on a clear day. 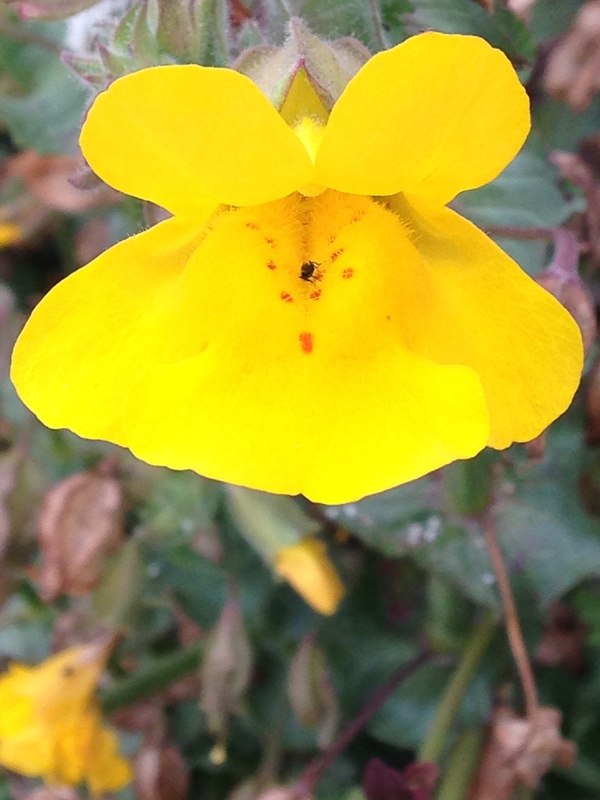 Everywhere you are starting to see the affects of the three year drought. We ran into to some locals while biking and they invited us for some post ride beers at their car. Amelia passed, but I joined them. 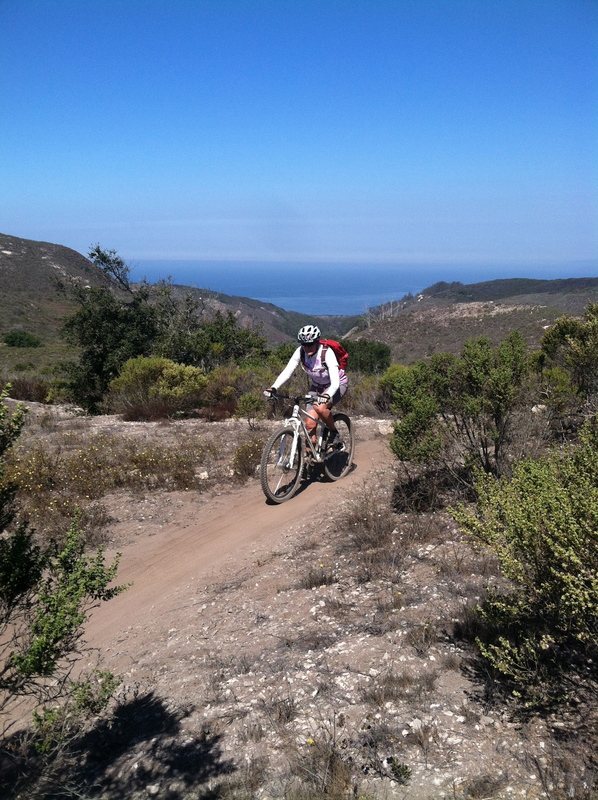 They have been living in Los Osos and biking MDO for over twenty years. They park at the same place all the time. ( I really hit it off with these guys!) They have drank beers and stared at this succulent for over twenty years. 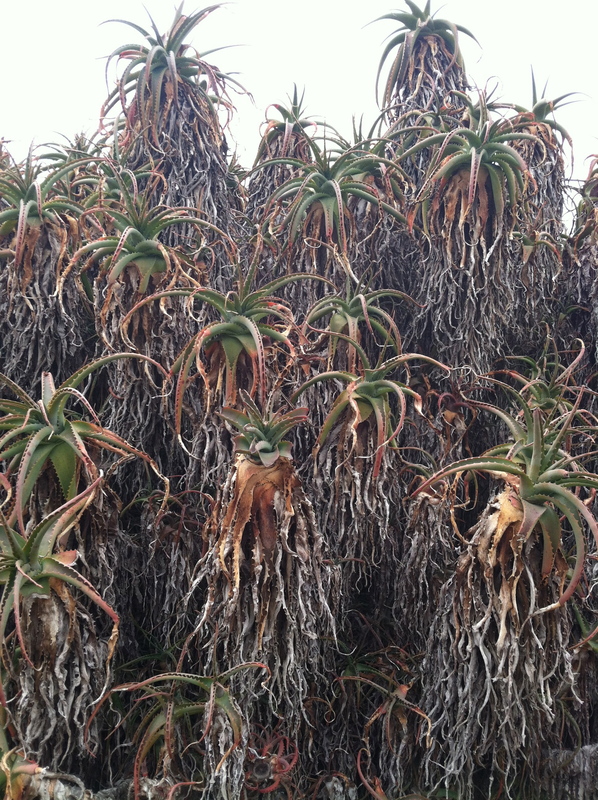 They were both really sad at how the lack of rain is taking on toll this plant. It was insane the amount of quail in the campground. Sara goes nuts over squirrels and lizards, apparently she’s not a bird dog. 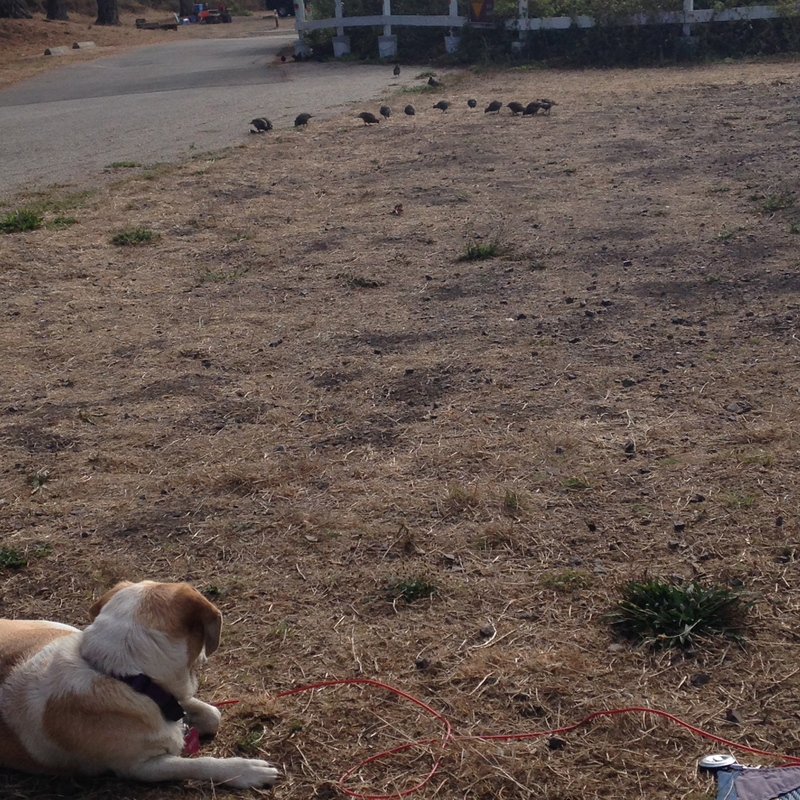 She could care less about the quail. 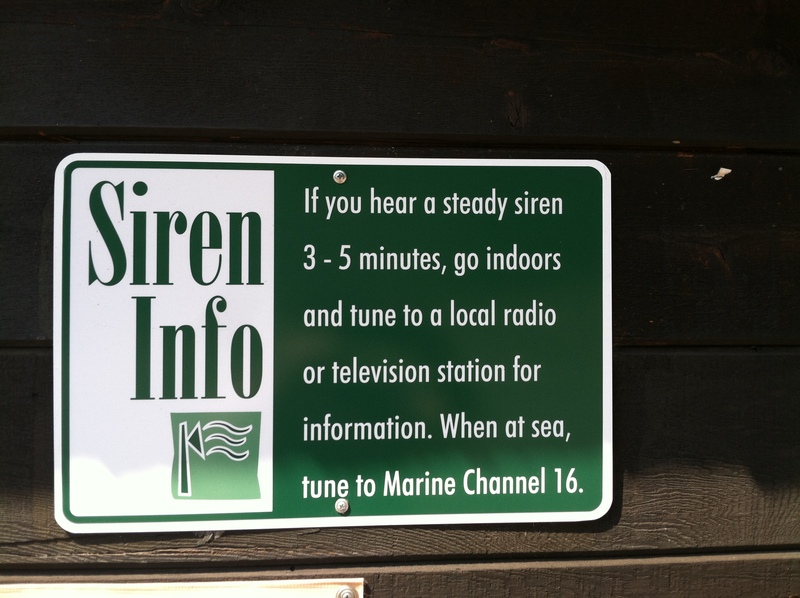 We saw these signs all over SLO, Morro, and MDO. I just assumed it was for tsunami warnings. Wrong! 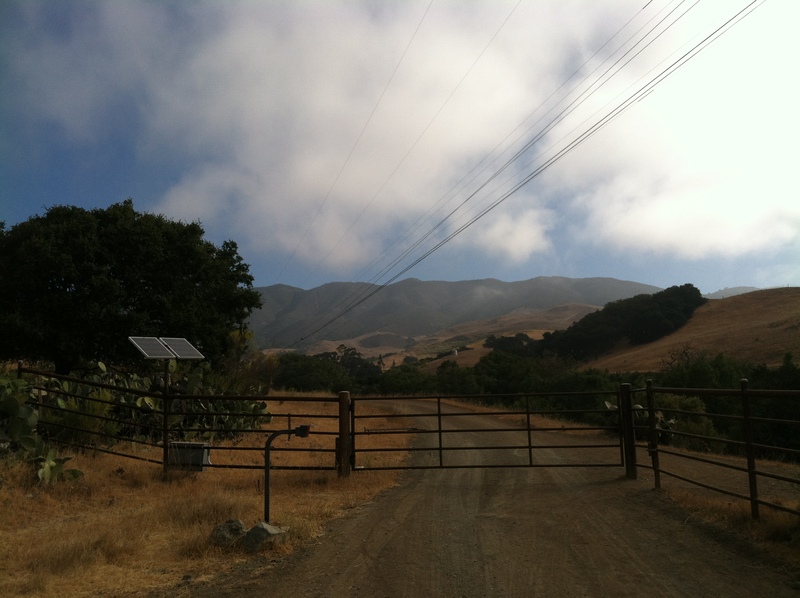 It’s for the Diablo Canyon Nuclear Power Plant, five miles south of MDO. 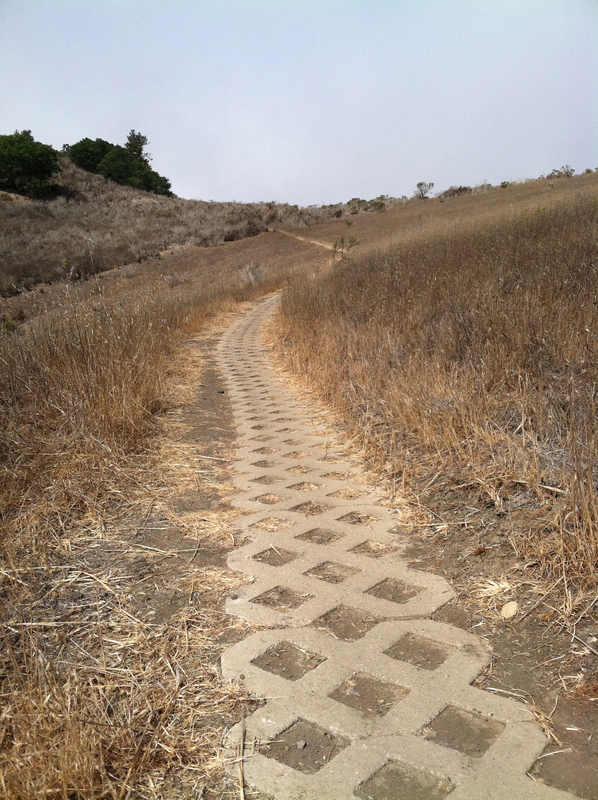 One of the trails at Morro Bay State Park. The longest paver trail we’ve encountered, it was at least a quarter mile. 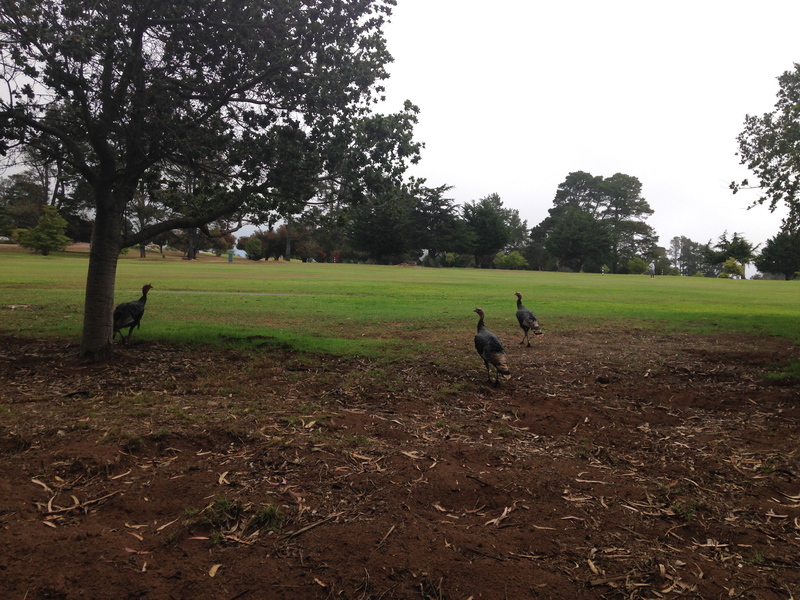 Some Jakes running around on Morro Bay Golf Course. 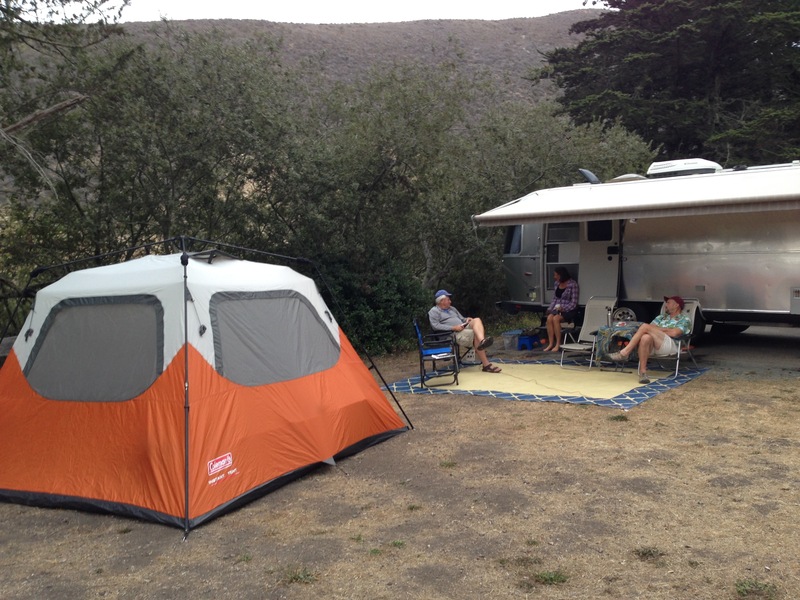 Hanging out at the campsite. 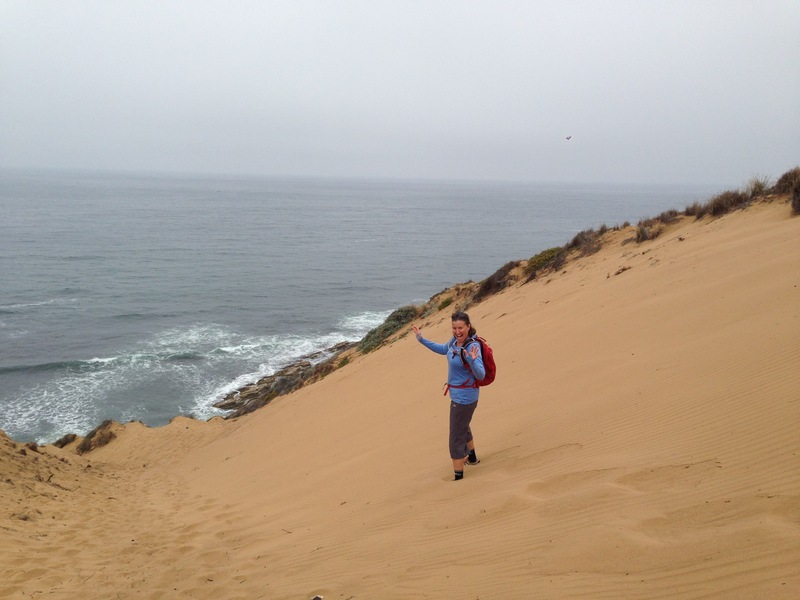 This is from a hike Amelia and Denise took along the sand dunes north of Spooner Cove. 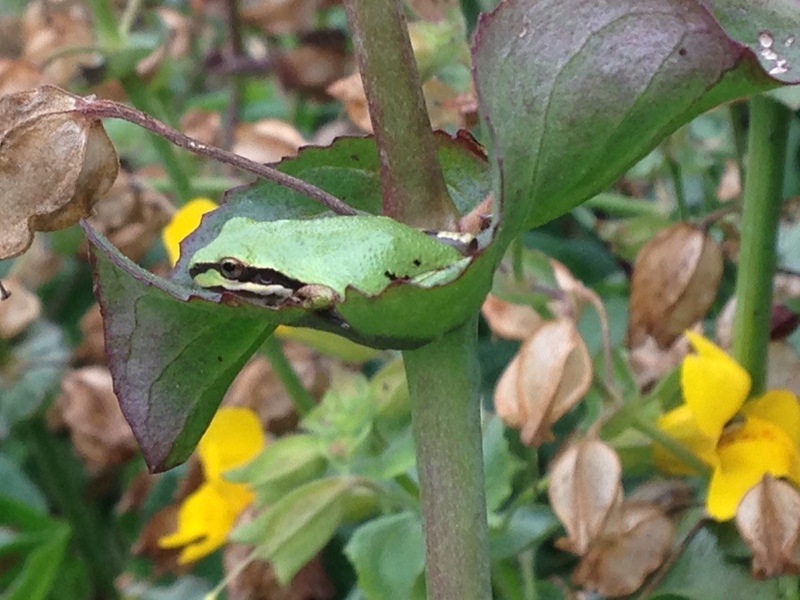 Pacific Tree Frog. 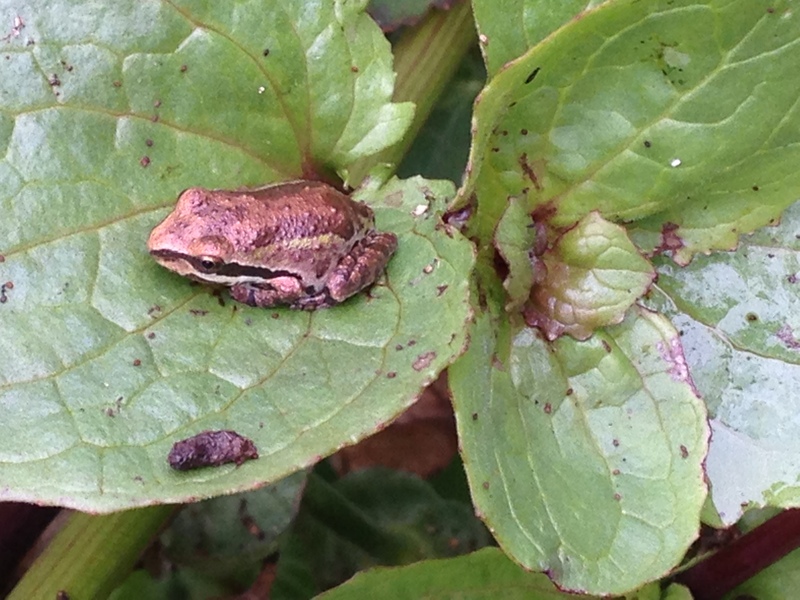 Amelia and Denise ran into more of these frogs than they could count. The tree looked alive as the frogs were jumping. 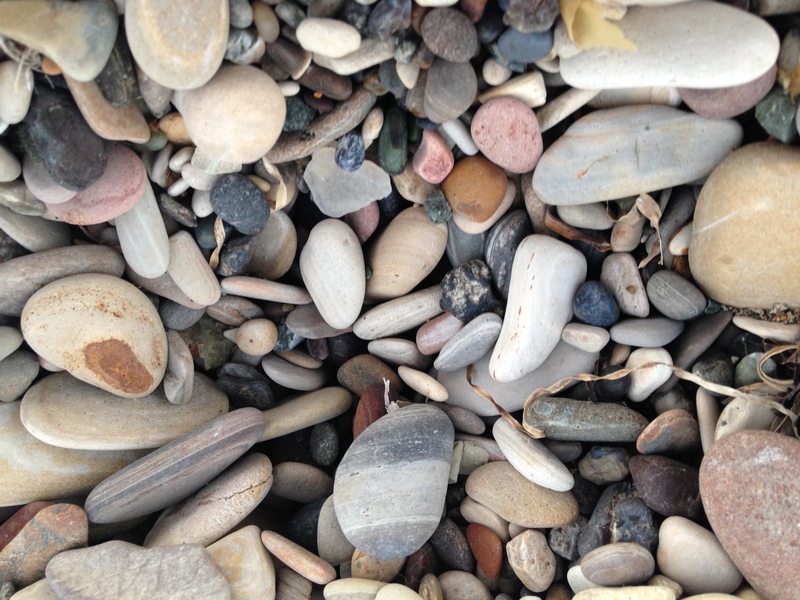 They can be black, green, or brown. In case you are color blind, this one is green. 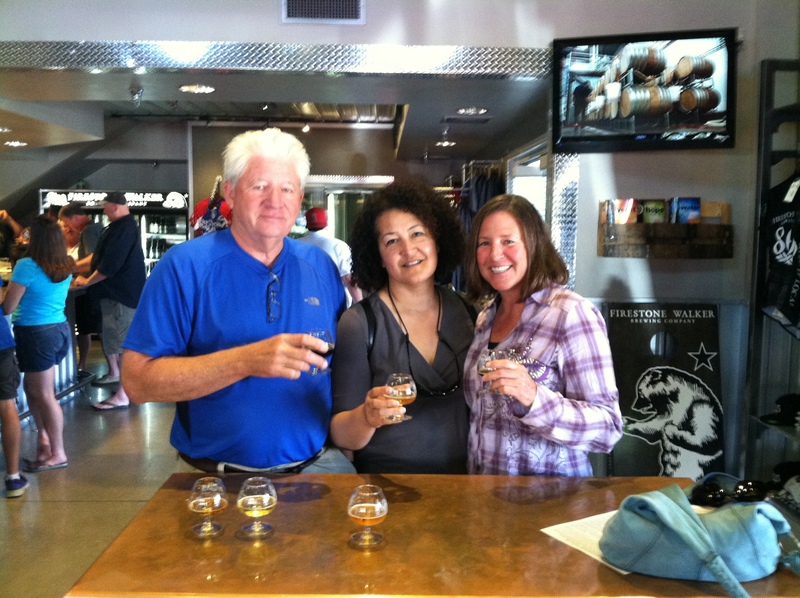 Rob, Denise, and Amelia enjoying some tasters at Firestone Walker in Paso Robles. 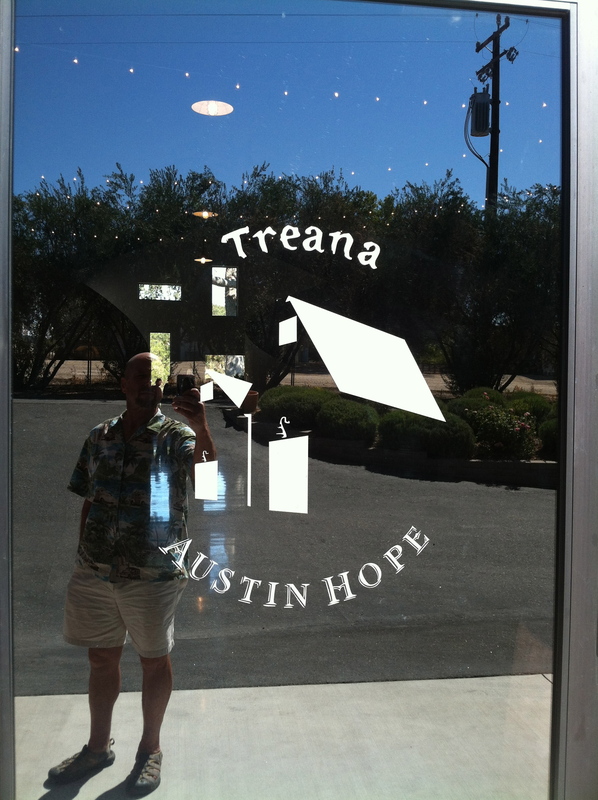 First winery stop after Firestone Walker. Silhouette du Coeur, Niner Wine Estates. 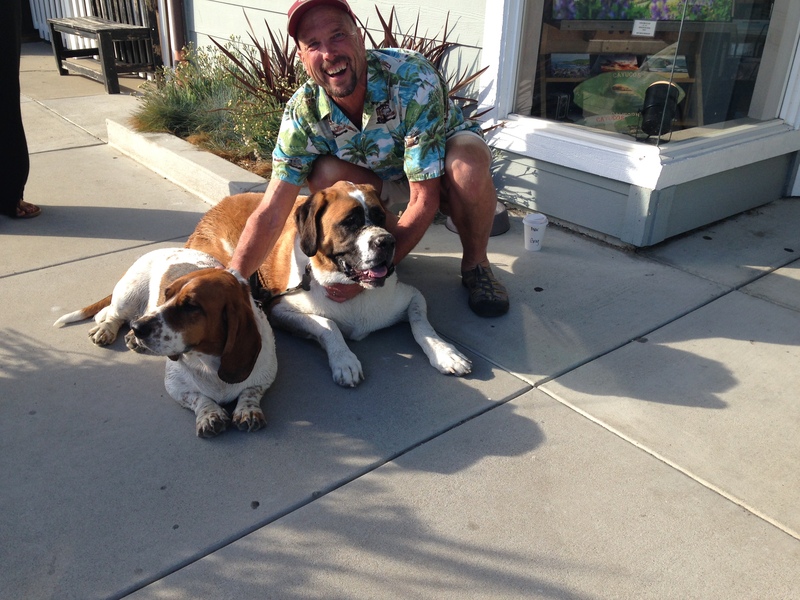 Betsy the Bassett Hound and Bagheera the St.Bernard in Cayucos. It was the second Bassett we saw that day. The story here is my brother always wanted a St. Bernard. So whenever we see one it puts a big smile on my face. And of course, Bassetts always make us smile. What a huge treat to see the two dogs together. 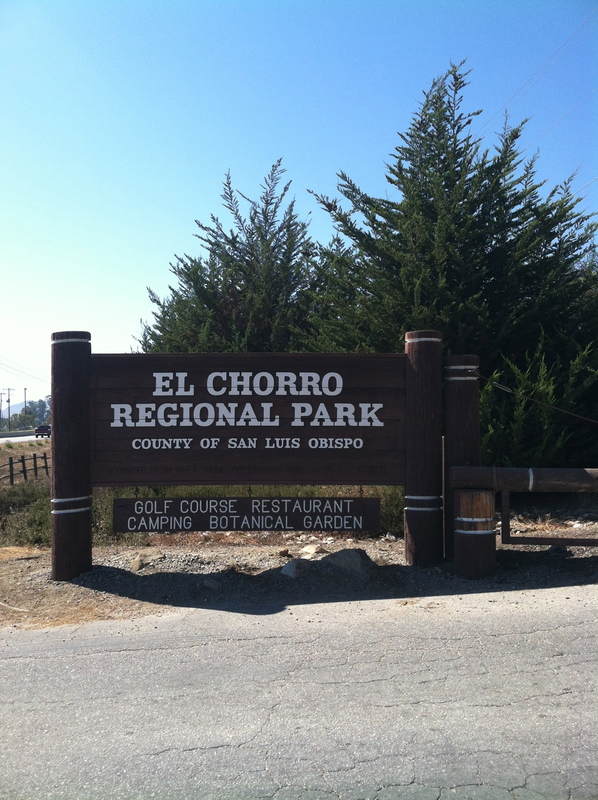 395, 14, 58, 99, 46, 101, 1, that’s how to get to El Chorro Regional County Park, just outside of San Luis Obispo, from Mammoth Lakes. 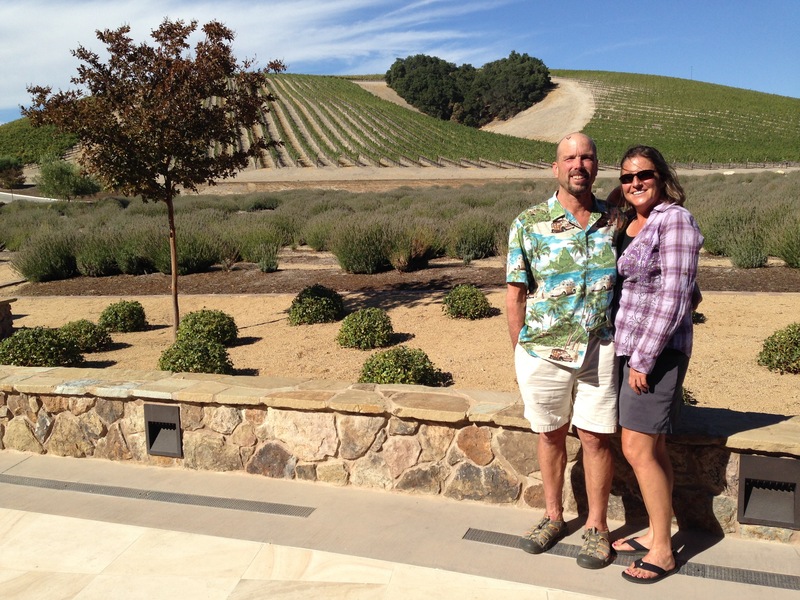 Once upon a time, with our friend Suzie, we drove from San Jose to Paso Robles, to Cuyucos. I’ve been to Santa Maria plenty of times for business. And we have numerous friends that went to Cal Poly SLO. 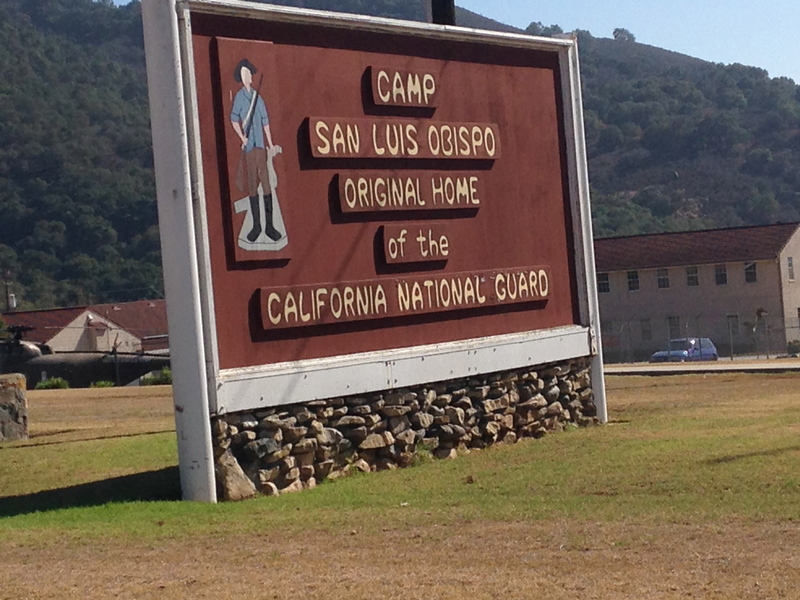 But to the best of our recollection, neither of us has been to San Luis Obispo, and we have a 100 years combined in this state. El Chorro is a little pricey, $25 a night for a primitive spot. $38 for full hook up. In this cool weather there’s no need for a full hook up since we have solar. The big bonus is you can get a six minute hot shower for a dollar! Six minutes is a really long time. You know the Harris family and their cleanliness is next to godliness belief. 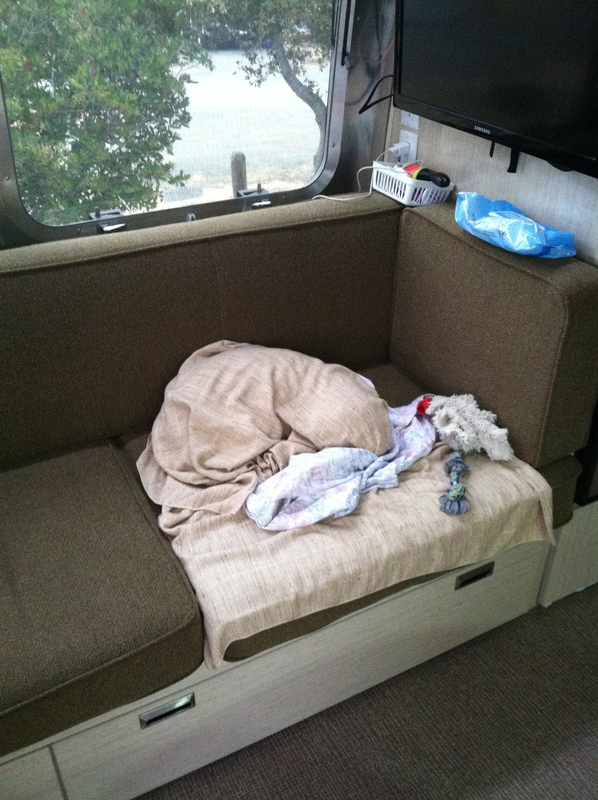 So the routine was a six minute one dollar hot shower after the daily bike ride, then a shower in the Airstream before bed time. Our first night in town we went into the closest bike shop and had Amelia chat it up with all the guys to get trail info. If there is one thing I know, it’s guys in bike shops dig chicks, especially single speeders. 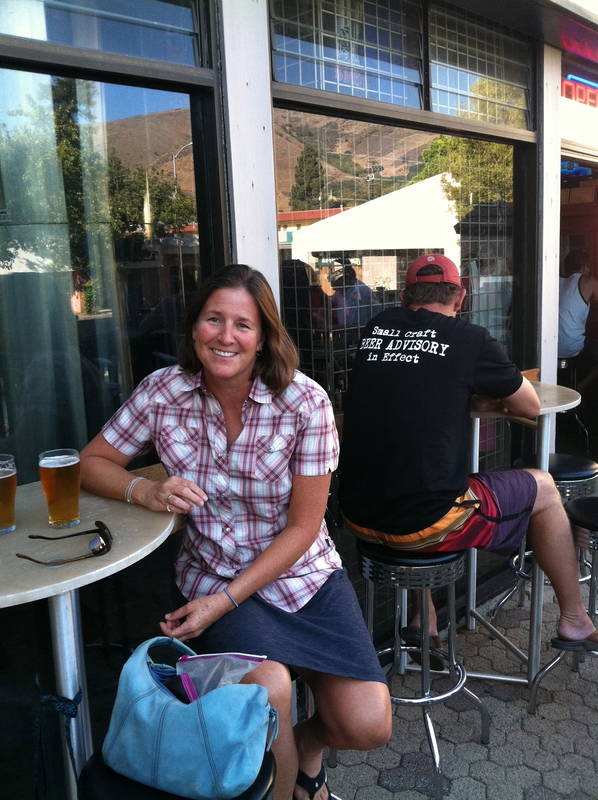 We were able to squeeze in two breweries, SLO Brewing and Central Coast Brewing. 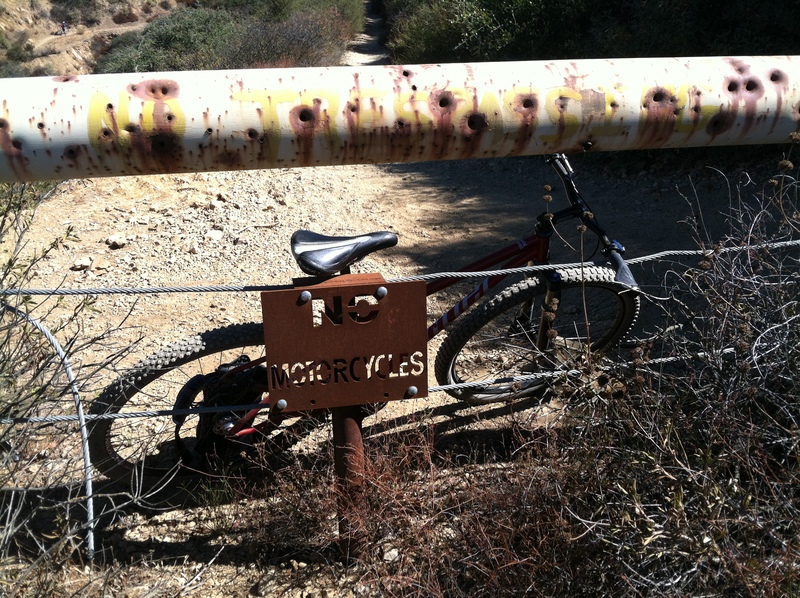 And three bike rides, West Cuesta Ridge, Irish Hills, and Lemon Grove Loop. 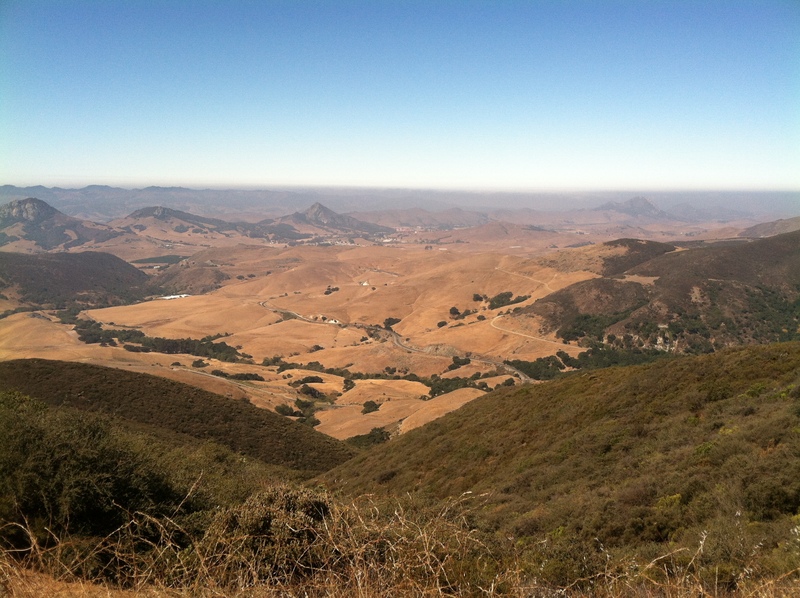 Cuesta was the best. 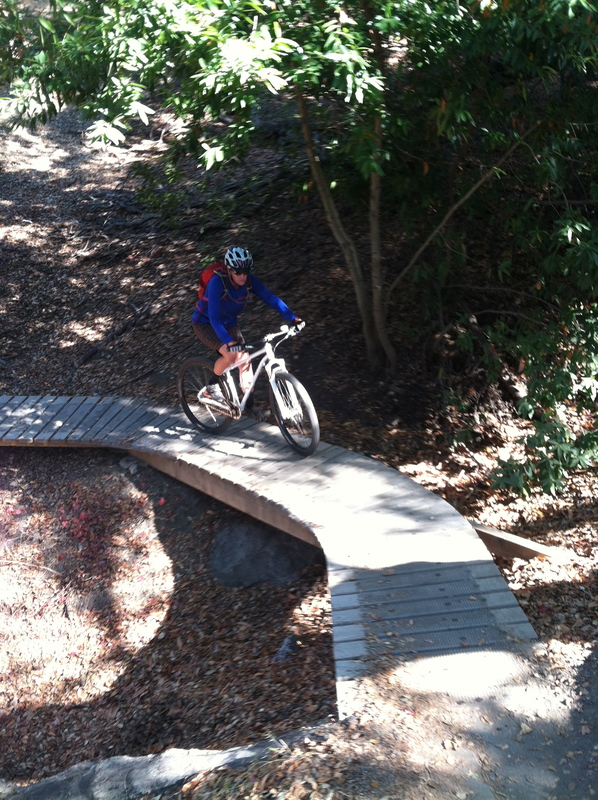 The funny thing is the bike shop guy and a local, riding at Cuesta, made a big deal of warning us about all the loose rocks and horrible condition of the Morning Glory trail. I guess it’s all relative to where you ride. We kept waiting for the gnarly part. 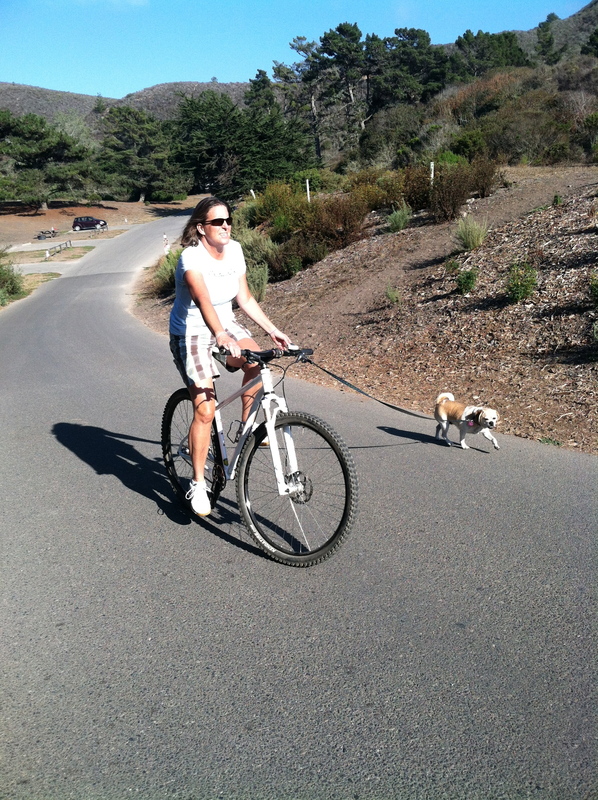 Compared to the trails we ride in SD, it was like being on a paved golf cart path! 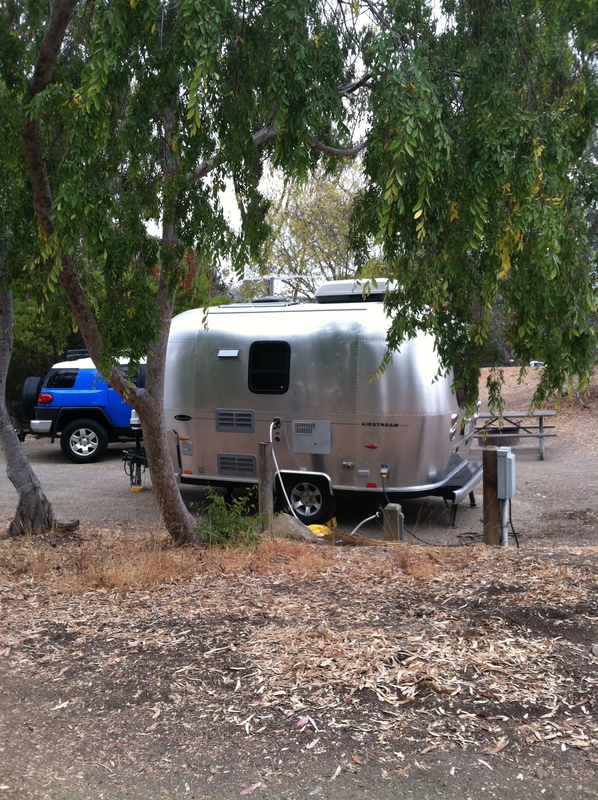 Now its down the road a few miles to Montana de Oro, or what the locals refer to as MDO. Fool me twice, shame on me. 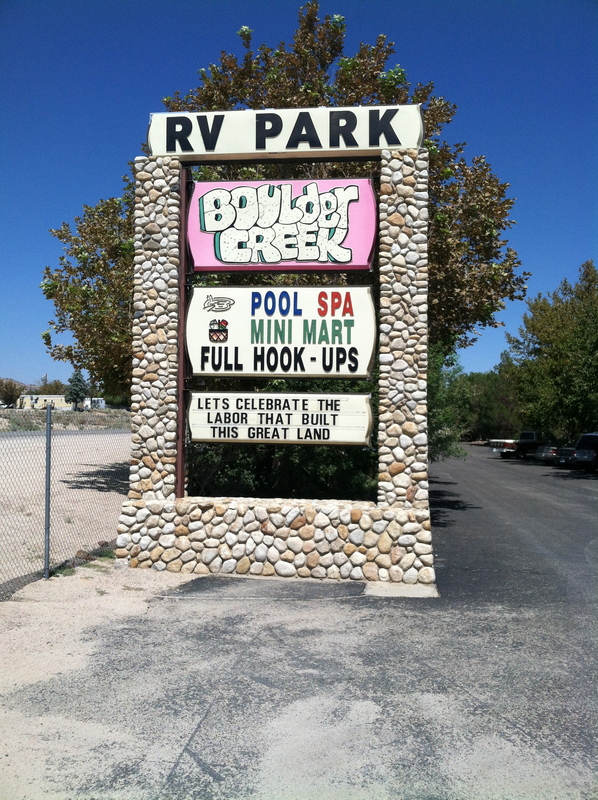 I don’t know what we were thinking but we stayed overnight at Boulder Creek and had problems again with the AC. There’s no doubt we are by the coast. There’s a Puggle in there. 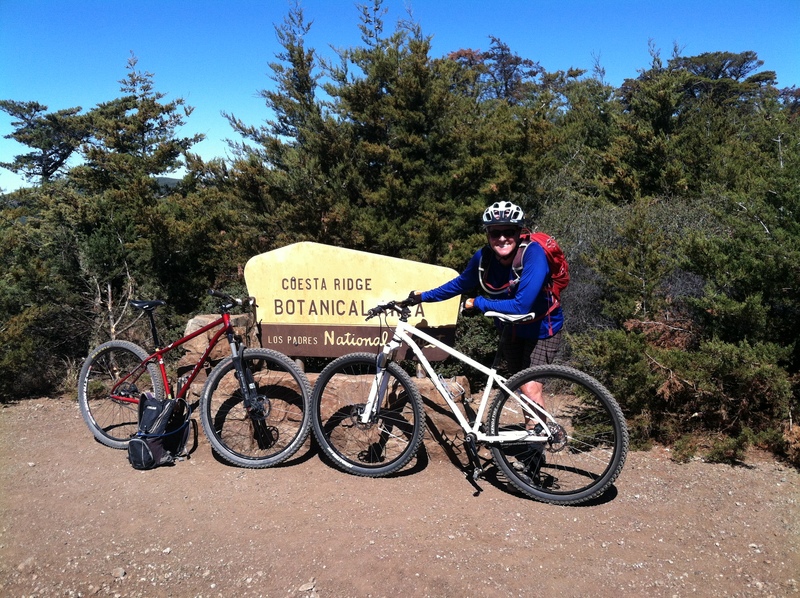 The start of West Cuesta Ridge ride. Fabulous ride, especially if you like climbing. My kind of a sign. The view from near the top. This is where the descent begins. Eucs Project. 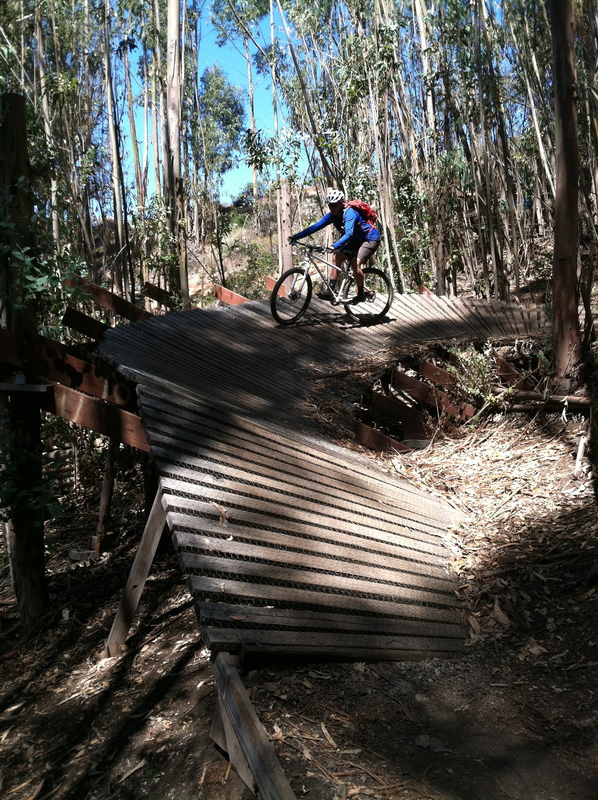 A cool little skills park in an eucalyptus grove at West Cuesta. Come on now! 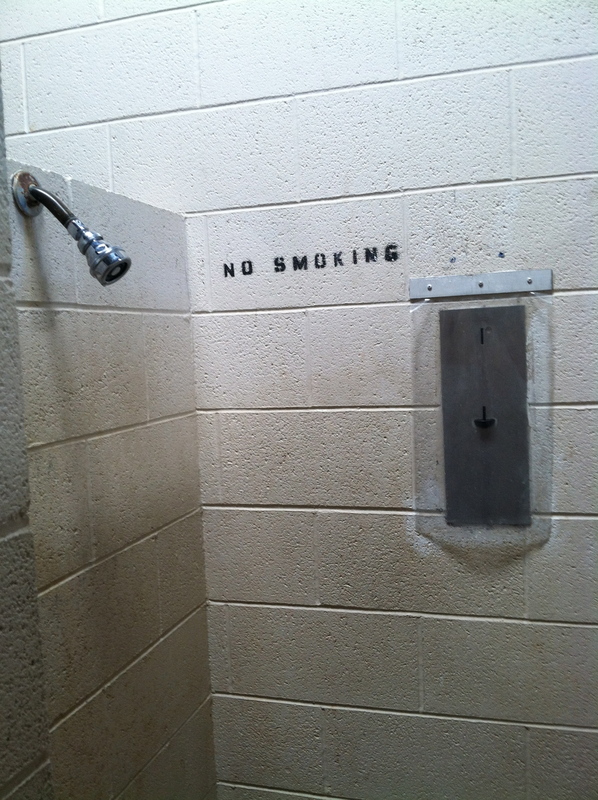 You mean I can’t do my favorite thing, stand in the shower and torque a grit? Lucky lady living the life. Central Coast Brewing. Check out the guy’s t-shirt. How great is that? Just in case you didn’t know.